Last week Love Lake Garda was contacted through our Facebook page by Jeanette Gory. Jeanette is an Australian lady who lives in Israel and has a passion for Italy. Jeanette told me she had written a travel blog about her travels in Lake Garda, she wanted to now if I wanted to share what she had written with the visitors to Love Lake Garda. Of course I was interested but I clicked the link to Jeanette’s I asked her ‘Why Lake Garda? Now that our kids are grown up, we travel a lot and especially to Italy. Although we have visited quite a few cities in Italy, our preference is always to go to the more scenic places and see the smaller towns. Lake Garda fit that bill perfectly. It offers the small pretty towns, magnificent scenery and fantastic driving roads. 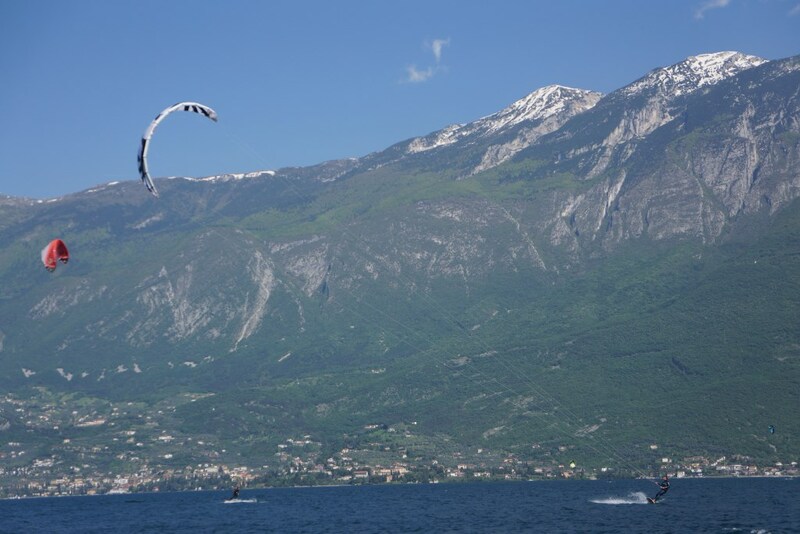 I then went ahead and read Jeanette’s three lovely articles, which give a glimpse at a few of the multitude of things to do in Lake Garda. I got back to Jeanette saying that I would love to share them with the visitors to Love Lake Garda and asked her to write a short intro. We went to Lake Garda for four days in October 2015. We flew into Milan on a cheap easyJet flight and straight away picked up our rental car & drove directly to Salo town on Garda lake. The drive from Malpensa airport to our wonderful accommodation took us around two hours. It was an easy drive. Since we landed in the evening, I wanted to find accommodation that was nestled in a pretty town but not too far from the highway since I didn’t want us to navigate the winding Garda roads late at night. Salo seemed to fit the bill perfectly. Since we had a car, it gave us flexibility to see many places on the lake and in the area. However, the lake is huge and four days just gave us a taste of what this lake has to offer. You could easily spend a week or two here…. So much to see and explore!! October for us was a perfect time of year to travel to Lake Garda. The summer holidays were over, the huge crowds were gone and the weather was comfortable… not hot enough for swimming but perfect for sightseeing! There are many highlights to our trip in Garda but the places that I loved the most were Malcesine and Canale di Tenno, two magnificent medieval towns. Jeanette’s first post describes her experience visiting Vittoriale, the zany home of the eccentric Italian poet, then her drive around the lake to Malcesine and Monte Baldo. Check out Jeanette’s post and if you want more information check Love Lake Garda’s Monte Baldo blog post, our page Lake Garda Town’s page and our places to visit page. is a fact I didn’t actually know that until I read Jeanette’s post. As well as a stop off at Limone and Riva, Jeanette’s post tells of her drive up to Lago di Tenno and her visit to its enchanting medieval Village – Canale di Tenno, a place I must admit I’d never heard of but will definitely be visiting now that Jeanette has informed us bout it. You can read more about Lake Garda roads in my Driving In Lake Garda article. The third and final post informs us of her Jeanette’s stay at Agriturismo Villa Bissiniga which is located in the hills above Salò. Of course it is probably obvious that Salò is my favourite town on the lake, it has the longest lungolago, the best beach, excellent restaurants and fantastic shopping. Salò has everything you need for your holiday without being too ‘touristy”. You can find Agriturismo Villa Bissiniga and many more Salò properties available for rent with our partners Booking.com. I also have a small villa in the hills above Salò. Villa Giardino actually available to rent on HomeAway.com, but you can contact us here at Love Lake Garda if you’d like some more info.